WHITE "FISH OR DIE!" SHORT SLEEVE Fishing T-SHIRT - Printed front left chest and full rear on 6.1 oz pre-shrunk T-Shirt. 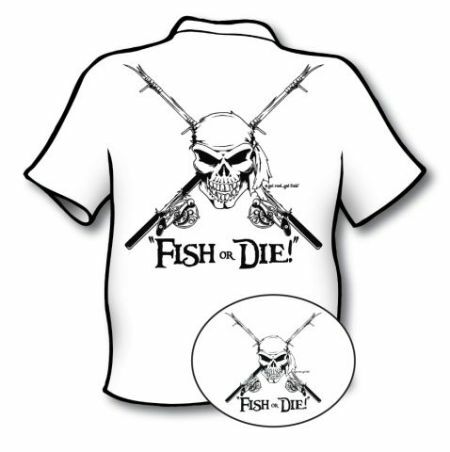 One of our best selling Pirate Fishing Shirts!